Hello there, it’s Nataliya with you today, I hope you are all doing well! What do you think about a masculine vintage card? 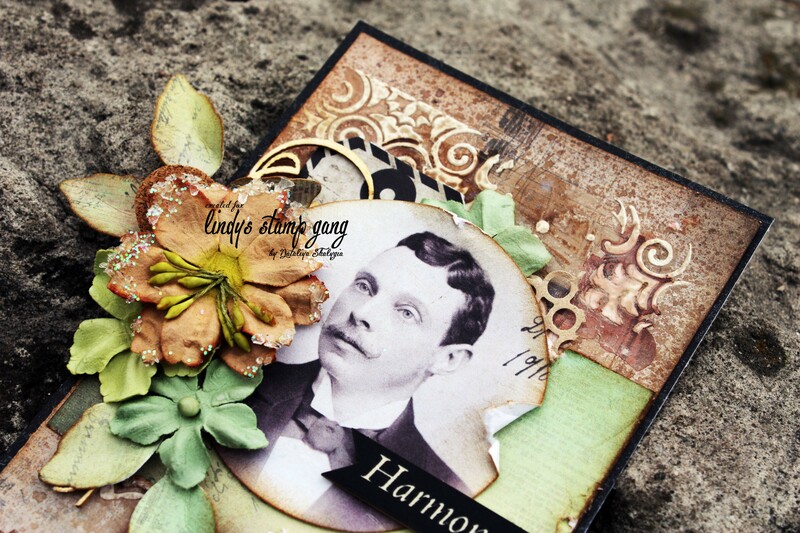 I think it’s really very interesting and fun to experiment, and I did, and created a beautiful vintage card, with a man’s face as the main focus. I hope you enjoy and are inspired by it!